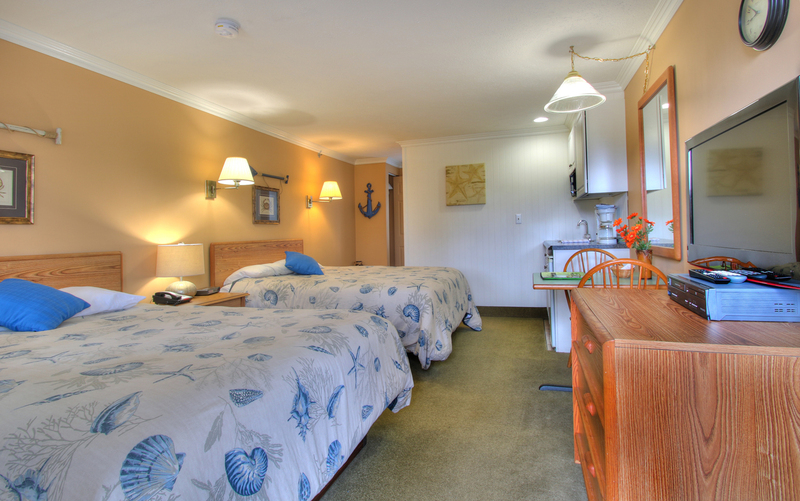 Sea Mist Premium Rooms are all recently redecorated and all feature 1 Queen Bed and a Pull-Out Sofa. 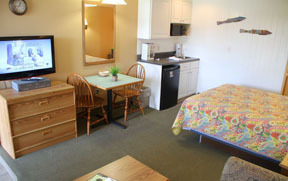 Each has a kitchenette with a small fridge, sink, toaster, microwave and coffee pot. 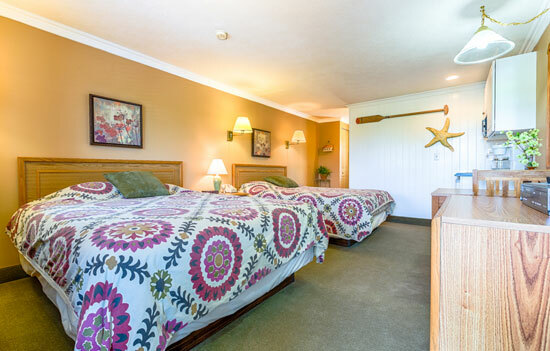 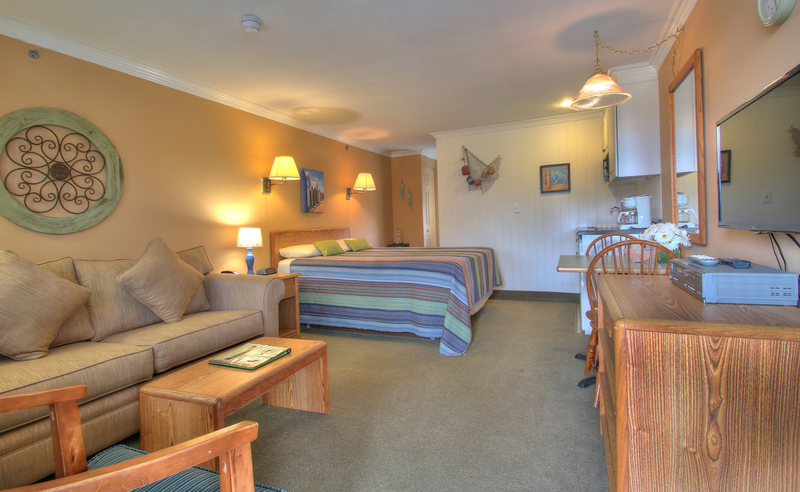 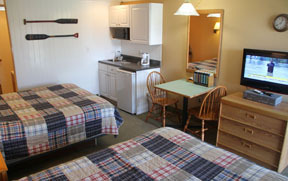 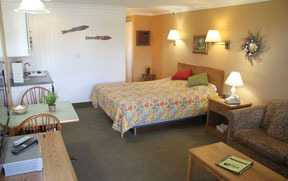 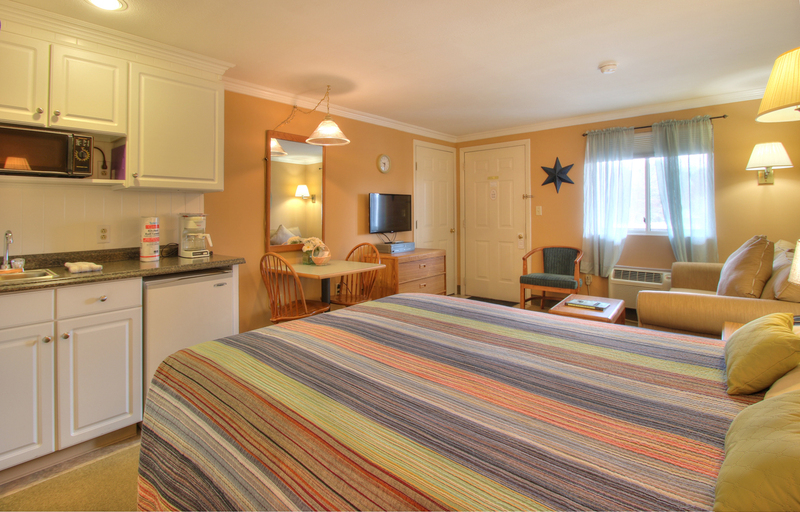 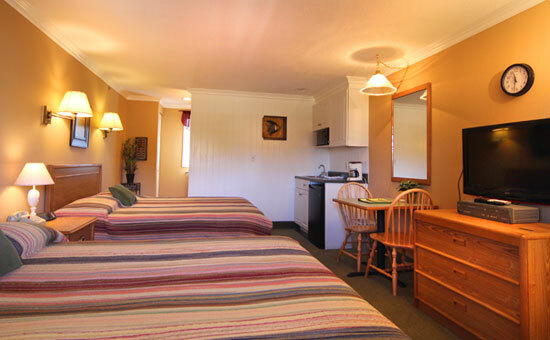 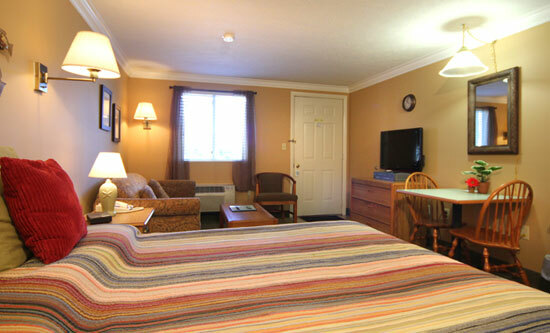 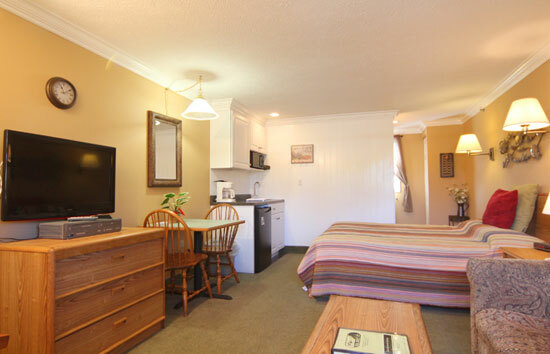 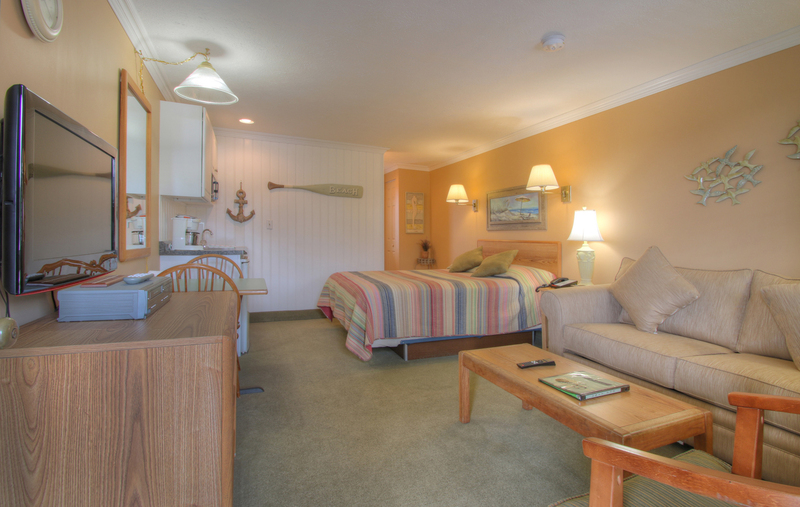 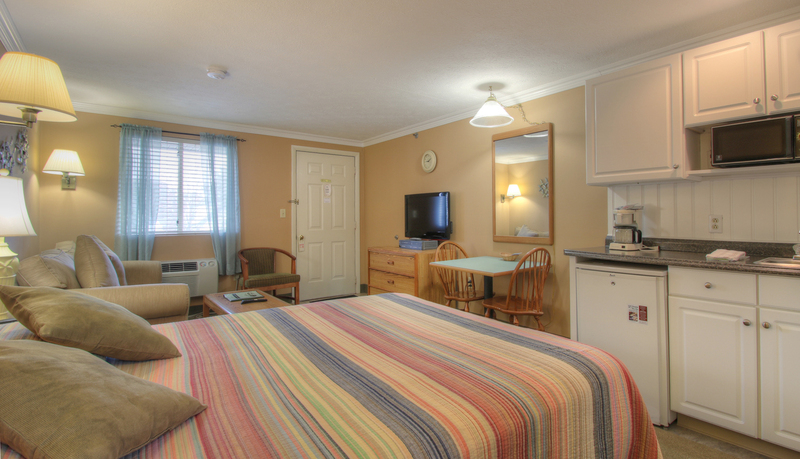 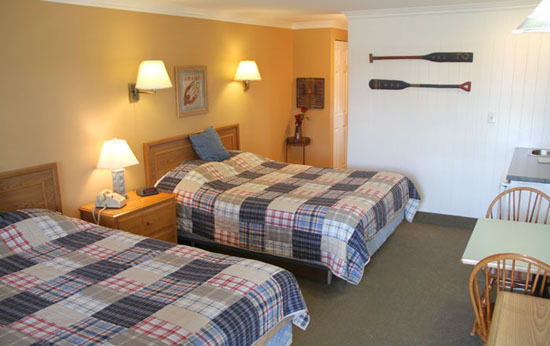 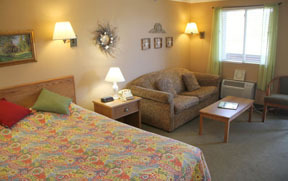 Each has a 32″ LCD Flat Screen TV with DVD Player. 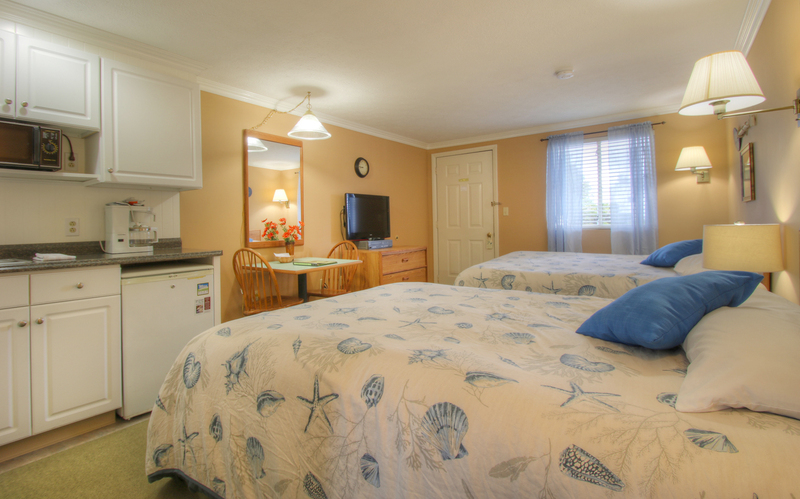 All enjoy Free Resort-wide WiFi use of Indoor Pool and Hot Tub, Sun Deck off Pool Area, Small Playground, and use of Outdoor Grilling Area.